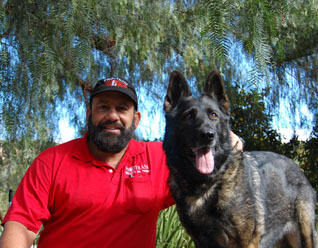 Summer Dog Training | Dog Trainer in San Diego: The Dog Man Can. The summer season is here! By now, many are probably starting out a plan for outdoor activities, family getaway. But here’s what you should not forget including in your summer plan most especially if you’ve got a dog: a professional training for your dear canine. If you are within San Diego and the surrounding areas, come visit us at the Pro-Train dog training facility and see it for yourself the dog training programs we have in store for our clients. With Pro-Train, you will surely can make this summer a fun and better training season for your lovely pooch. The weather is ideal for your dog to go outdoor. The weather is perfect for a dog walk by the beach, stroll the nearby park, or join other dogs at our facility. Whether you leave your dog at Pro-Train as you enjoy summer activities somewhere else or you train your dog with us, you and your lovely canine will surely have a good time. Personalized dog training. Pro-Train starts with assessment. This process is done in order to draw a baseline for the training that your dog needs – where to begin, what should be done first, among others. And because it’s summer, we carry out a training program that is most appropriate for the season. 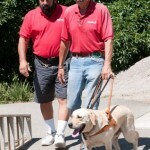 We see to it that the program is tailored to the need of your dog based on the results of the assessment. You will have it trained by experts. 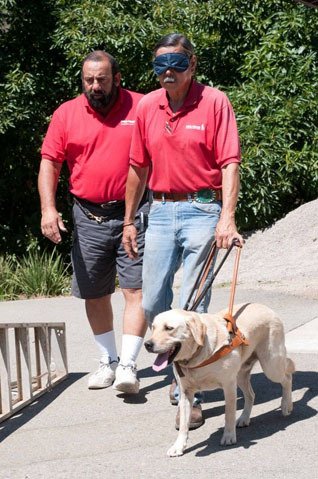 All year round, clients can expect the best dog training available in the country today as it will be facilitated by no less than the dogman himself, Mark Castillero (learn more about him and his accomplishment) and his expert associates at Pro-Train. Whether your dog is just starting out to learn the basics, or to address certain obedience issues or a more-advanced set of tricks, the Pro-Train training facility is the way to go this summer. Great deals on dog training available. Another good reason to take your dog to a summer training is that you can find quite a number of good training deals around. By simply doing a search online, you can see these deals in the San Diego area. Here at Pro-Train, for instance, you can join in our referral programs such as the Pro-Train biz cards (contact us to learn more about this). So, is your dog ready for trips to Dog Beach, the park and your many summer adventures? Now is the perfect time to get your pooch trained. 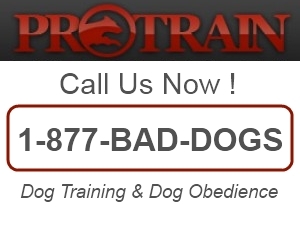 Email us at protraindog@gmail.com or contact us at (760) 749-0897 for a consultation.